Modern app development is proving that apps are more than just fun and games. 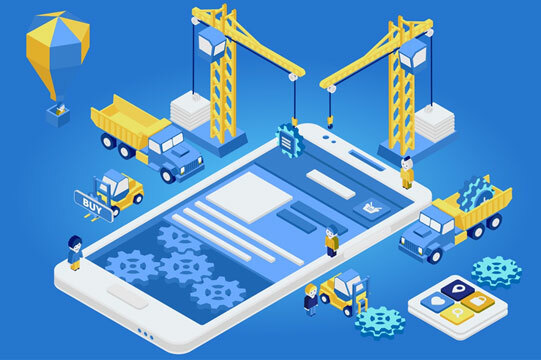 Technological innovation is continually creating the potential for new app features to add convenience, excitement and new opportunities to both users and developers. What Are the Latest App Innovations? Although gaming apps were among the first to be developed, modern games offer a fairly safe medium for the latest innovations to be tested and implemented; Pokémon Go is an example of an app which used new technologies to huge success. The game’s wide appeal was largely due to its use of augmented reality and improved location-based services. It seems that interactivity within the real world is the way forward for successful app developers. New opportunities abound with the advent of the ‘Internet of Things’; for example, the ability to remotely control household devices presents developers with exciting potential for new apps. Which Operating System Is Best for App Use? How Are Mobile Networks Supporting App Development? Although both major mobile phone operating systems have advantages and disadvantages, a benefit of using Android rather than Apple is the level of phone integration offered within apps. Android also boasts an extensive range of free and innovative apps in the Playstore, many of which are not available on iPhone. Improvements in mobile network infrastructure – particularly 4G and GPS – are enabling apps to deliver fast and relevant information to people. These developments are of particular value to businesses, where targeted information can be offered to app users, and rapidly updated. How Is App Development Affecting the Financial Sector? The financial sector is an example of an industry that is reaping great benefits and reaching out to new customers through app development. Breaking economic news stories can be instantly delivered to app users; customers can quickly track market movements, and trade at the touch of a button. Many trading apps offer ‘trading on the go’ – something simply not practical just a few years ago. Apps such as LCG Trader (available on Apple and Android) create instant access to hundreds of markets at the tap of a button. Such apps offer fast and secure trading with rapid, real-time market updates. Thanks to app innovation, Day Trading has never been easier, and is becoming increasingly popular amongst both experienced and first-time traders. Apps also present new opportunities for businesses to connect with their customers. Fast sign-up processes help to capture valuable customer information that can be used for marketing purposes. Analysis of a customers’ app usage can offer businesses further marketing and app development insight. App innovation is a rapidly advancing area of technology, creating exciting prospects for both businesses and end users. At a time when the most successful apps are taking the world by storm, what opportunities could be around the corner? Augmented reality will no doubt play a huge role, and the Internet of Things is already becoming a huge area for growth; it is clear that apps are becoming an increasingly integral part of peoples’ lives, rather than simply a source of information or form of entertainment. However, the future of apps will be very much be dictated by the power of the devices on which they operate. As devices become more attuned to technological developments, their compatibility will increase, offering the user an improved experience. Phones to watch out for in the next few months are the Asus Zenfone AR, OnePlus5 and Nokia 9. What would be your dream app? What app innovations do you think we will see in 2018? App developments in healthcare sector would be one major upcoming trends in app development field. mHealth application development along with wearable device which will help patients generate health data to track personal health and for more quality healthcare.